How many times have you heard a parent or teacher say, "Inclusion doesn't work"? I used to cringe when people would make such a bold statement. Trying to resist the urge to retort in what would likely be an unprofessional show of frustration, I would give an overview of 30 years of research to support inclusion. I also provided a personal account of 15 years teaching in a fully inclusive school system. Some stayed to hear me out, while others politely excused themselves from the conversation. Now, I agree with them. There are components of inclusion that are absolutely crucial to it's success. Without those components, inclusion doesn't work. So, now when I hear the words, "Inclusion doesn't work", I respond with, "You are right. 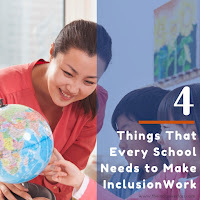 Inclusion doesn't work unless schools have the right attitude, an abundant support system, appropriate teacher training, as well as accessible and achievable educational goals for each student." Inclusion succeeds when administrators, teachers, specialists, and community members all believe that, as a society, we are better together than we are apart. They believe that all students deserve equal educational opportunities that are meaningful and purposeful. 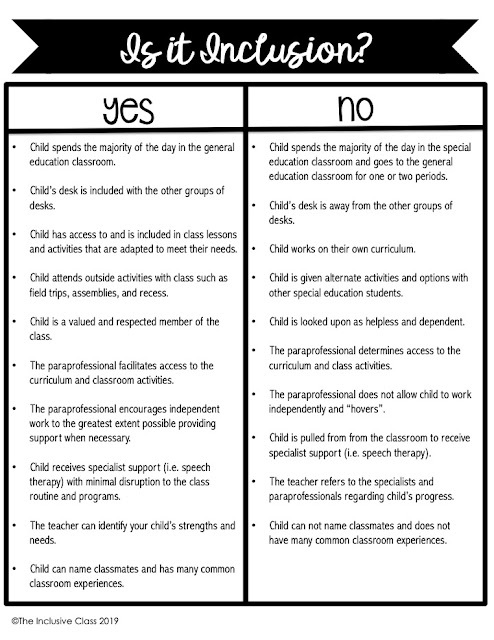 In addition, there is trust in years of research, which has found no benefit to educating the majority of students with special needs in self-contained classrooms. In fact, there is substantial academic, social, emotional and physical benefit for both students with and without disabilities. 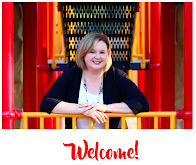 Furthermore, the language, classroom routines, instruction, activities, and the resources used within the school reflect the desire to welcome and educate all students. Inclusion is dependent on our determination to break down barriers and ensure all students have access to a rich and meaningful curriculum. As inclusion expert and author Paula Kluth says, "Over, under, around or through, find a way or make a way". Inclusion is successful when the school appropriately responds to the child’s learning needs. It is expected that schools will use resources from a variety of sources within the district and community to bring supports to the student in the classroom. These supports include instructional strategies, Individual Education Plans, paraprofessionals, health professionals and assistive devices. Inclusive school systems expect they will do everything possible, in partnership with families, to provide students with a developmentally and age-appropriate education. 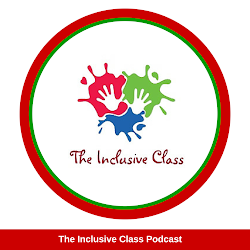 However, it is also understood that inclusion does not preclude alternate, more suitable educational environments outside of the general education classroom for an individual student. An abundant support system ensures that students with disabilities learn and progress in their individual educational program alongside same-age peers. Inclusion is successful when teachers are trained and prepared to teach in classrooms that are inclusive. Teachers must be equipped with the knowledge and tools to cultivate a welcoming, safe environment, identify student needs, use research-based instructional strategies to teach diverse learners, and assess individual progress. Teachers need to understand the importance of Individual Education Plans, know how to provide learning accommodations, and make curriculum modifications. Teachers feel more confident and motivated when they have the ability to shape and deliver curriuclum to meet student needs. Teachers must also be able to obtain school and community resources that will provide specialized instruction when required. Finally, there is a commitment to professional development. Well-trained teachers who are skilled at inclusive practice and committed to life-long learning are the backbone of successful inclusive experiences. A successful, inclusive experience is largely dependent on what the student is expected to learn in the general education classroom. We don't expect our students without disablities to learn the bare minimum, so why would we expect any different from our students with disabilities? Research and experience tells us that in order to make the education of students with disabilites more effective, we must have high expectations of our students and provide them with access to the general education curriuclum. Choosing goals that are both functional and academic can give a child the opportunity to grow in a variety of ways. Most importantly, the goals should be within the child's zone of proximal development which are those that can be completed with or without guidance. Remember, the student's educational goals are directly related to the student's ability level. In an inclusive setting, students are not expected to work at grade level or "keep up" with the other students. Instead, they are asked to "keep learning". Understanding this fundamental component of inclusion will guide educators in teaching all kinds of learners. Inclusion can and does work when schools provide a foundation for success. The above mentioned components of inclusive education establish learning environments where all students can learn and grow. What else do you think schools need to make inclusion work? Comment below!